Home General Information Banks in Saudi Arabia How to pay the fee to renew Istimara online? How to pay the fee to renew Istimara online? In order to renew Istimara online, you need to pay the Istimara renewal fee in Saudi Arabia. 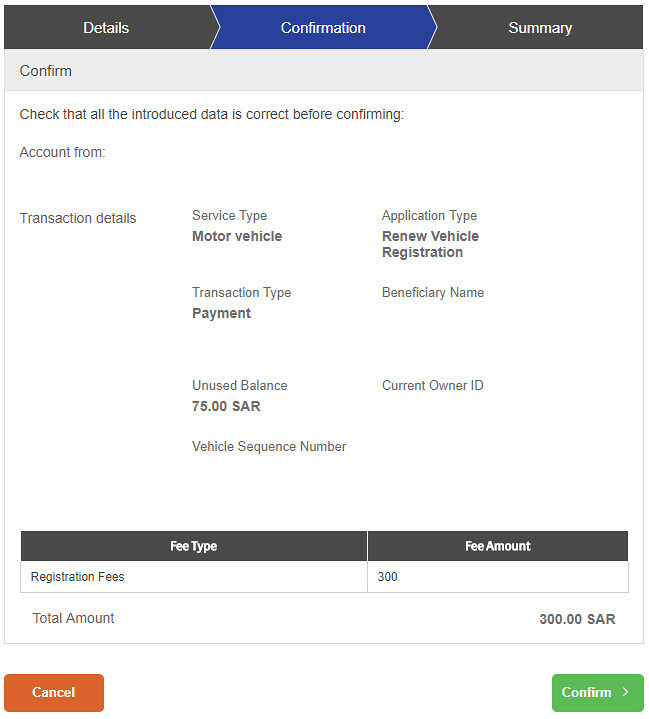 We have explained the process of making the Istimara renewal fee or vehicle registration renewal fee online using the SADAD payment system in this article. First, you will have to log in to your internet banking account. The fee can also be paid by an ATM card and phone banking using SADAD services. Here we shall only provide you with a guideline about the payment of a fee to renew Istimara using internet banking. What is the istimara renewal fee in Saudi Arabia for 2019? I have seen many people who are concerned to know about the Istimara renewal fee in Saudi Arabia for the year 2019. The fee for the renewal of Istimara or Vehicle Registration in 2019 9 is SR 300 and it is renewed for a period of 3 years. If you don't renew the Istimara on time, the Istimara expiry penalty is SR 100 per year. Moreover, there is no Istimara renewal grace period. 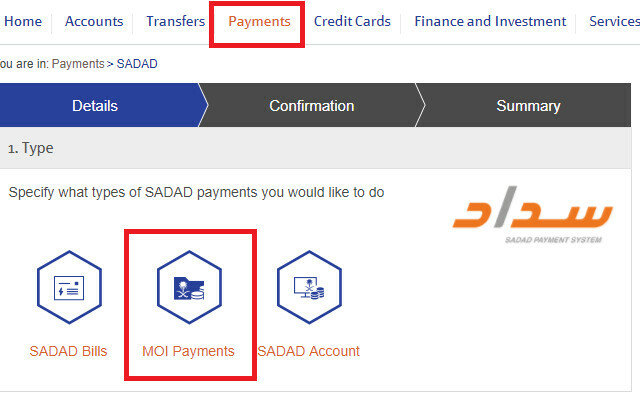 In Al Rajhi Bank, after logging into your account, you will have to click on “Payments” tab in the banner above and select “SADAD” from the drop-down menu. A new page will load and you need to select “MOI Payments from that page. 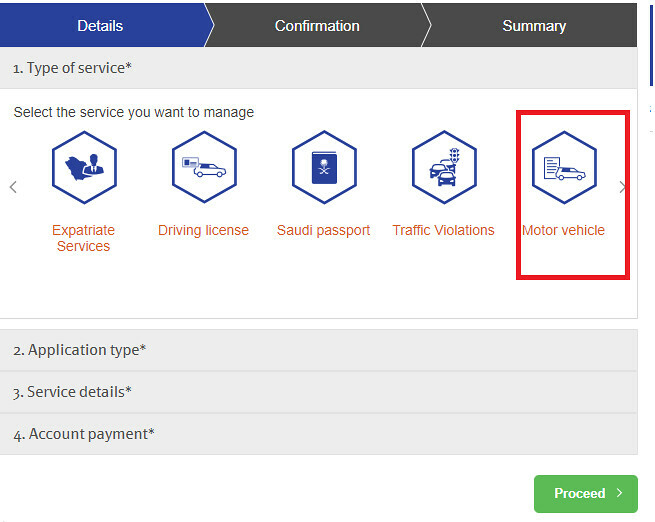 A new page will open where you will have to select “Motor Vehicles”. 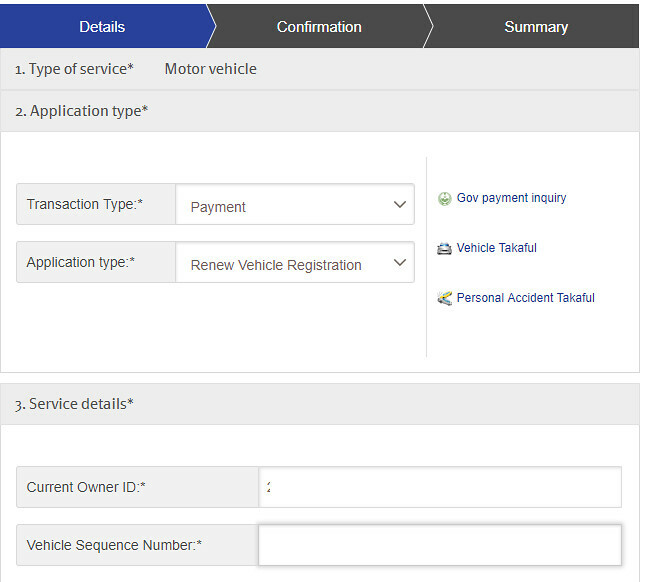 In the new page, select “Payment” in Transaction Type and “Renew Vehicle Registration” in Application Type. You will also have to enter the Iqama number of the owner of the vehicle and Vehicle Sequence Number of the Vehicle in this window. Just confirm that the details entered are correct. 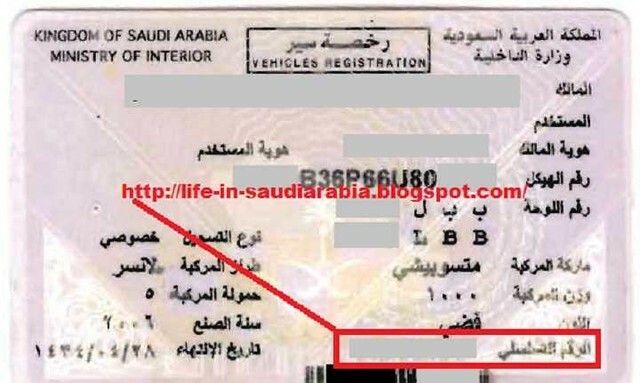 Keep in mind, if Iqama number or the vehicle sequence number entered in the above page is not correct, this page will not appear. This page will only appear if all the details are correct. You just need to confirm it. Now you have successfully made the payment of a fee to renew Istimara (Vehicle Registration). The fee for the renewal of Istimara or Vehicle Registration is SR 300 and it is renewed for a period of 3 years. How to get the Vehicle Sequence Number? There are two ways to get the vehicle sequence number which is explained below. It is given on the right bottom side of your Istimara (Vehicle Registration) in Arabic. You can take help of the below picture to locate vehicle sequence number in your Istimara (Vehicle Registration).